Thomas Hardy’s Jude the Obscure has frequently been read as Hardy›s social critique of marriage, class, and systemic education. Readings of the novel in this critical tradition have a tendency to simplify the text into an allegory emergent from Hardy’s own biography. I seek to destabilize these readings by instead engaging with the text as one not concerned with institutions but rather the underlying social codes that give them coherence. By pairing Mikhail Bakhtin’s concept of speech and counter speech with Lee Edelman’s queer critique of child-centered futurity, I offer a new reading of the novel that privileges codes and legibility as central to the novel’s critical project. 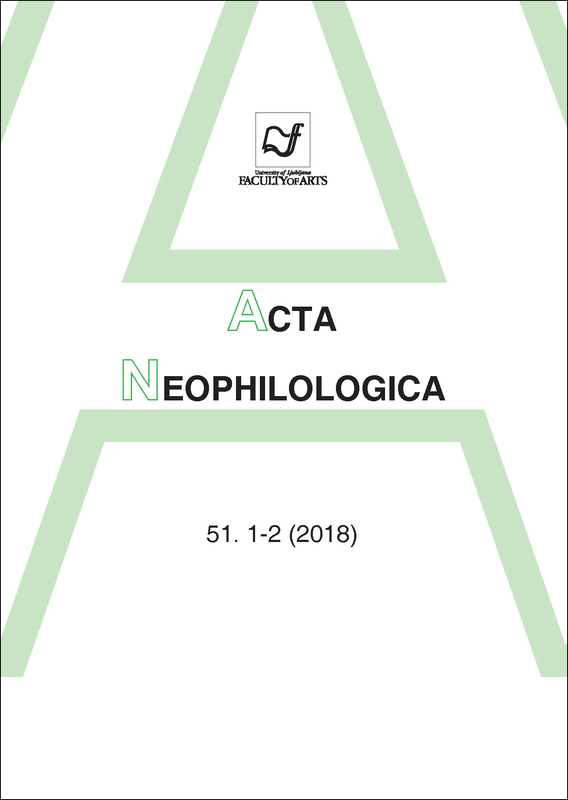 Authors are confirming that they are the authors of the submitting article, which will be published (print and online) in journal Acta Neophilologica by Znanstvena založba Filozofske fakultete Univerze v Ljubljani (University of Ljubljana, Faculty of Arts, Aškerčeva 2, 1000 Ljubljana, Slovenia). Author’s name will be evident in the article in journal. All decisions regarding layout and distribution of the work are in hands of the publisher.